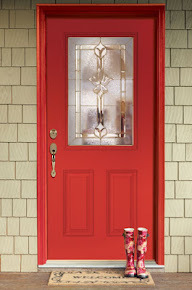 There is no need to wait for Black Friday to get your savings on exterior doors. 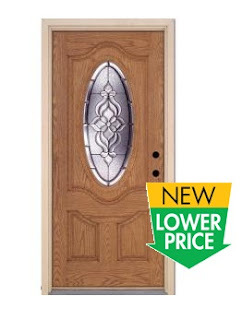 Look for New Lower Prices on Feather River doors on Home Depot website. Everyday is a great day to save with us! 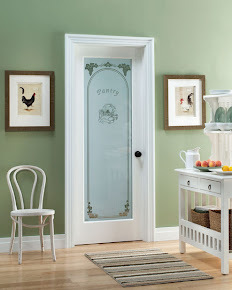 We're very excited to introduce Feather River EXPRESS Fiberglass Doors! Wallet friendly - starting at just $299 to $799Easy to Select - choose from 3 new designs in set configurationsReady to install Quick to deliver - shortened lead time of 10 days backed by our Limited Lifetime WarrantyVisit our website or view the catalog for more details. 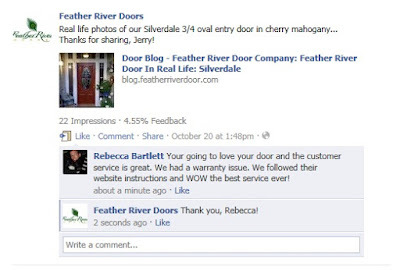 We try our best to please our customers here at Feather River Doors. When we receive nice comments from our satisfied customer, not only do they make our day, it motivates us even more to service you better. Thank you for the positive comment on our Facebook page, Rebecca. Share your positive experience with us by email or by our Facebook page.